In a world in which our high streets begin their celebration of Christmas months earlier, Advent is a counter-cultural 'still small voice'. 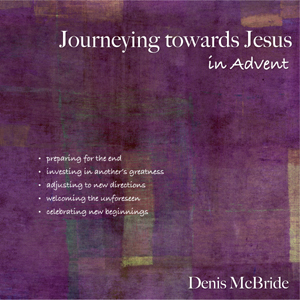 In this insightful and inspiring book, lavishly illustrated with images chosen by the author, Fr Denis McBride guides us through the Advent season as we journey towards the celebration of the birth of Christ. Suitable for private reading or for use in groups, this book invites us to journey together towards a deeper appreciation of the true meaning of what we celebrate at Christmas. This timely book honours and celebrates the coming of God to us at Christmas in the person of Jesus. It is an antidote to the garish and clamorous commercial world with its pagan overtones of trees and mistletoe and fairy lights. The book is divided into five parts, beginning with the preparations for the end of the world when Christ will come again. It then moves on to more familiar territory - John the Baptist, the wild one, the forerunner who will prepare the way. Then we come close to Joseph, the quiet man who accepts without question what God asks of him, who will do everything necessary to protect Mary and the child. Then the story of Mary herself, the mother of the word incarnate, young and innocent but quietly accepting the astonishing news from the angel Gabriel. Finally Christmas, poor shepherds and the wise men and the Christ child. A new beginning. The relevant Gospel texts are brightened with lovely coloured illustrations which make the book a delight to read and look at. I have just finished a great read over Advent and Christimas with these reflections, which were beautifully written and illustrated. The author has a real gift for taking yiu with him deep inside the text and the season. Many thanks and all strngth to your brain and fingers! I was lucky enough to attend Fr McBride's great day in Ipswich on Evangelisation in John's Gospel. The presentation left my wife and I breathless in wonder. We bought a couple of books, including the Advent one. We both love the simplicity of the writing and the depth of the insight - my wife says St Alphonsus would be very proud. Many thanks to Fr McBride for sharing himself so generously - Ipswich is a helluva way from Chawton! 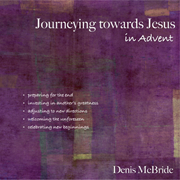 Journeying towards Jesus in Advent is an excellent companion as we wait and hope. There are not many books which, designed as Advent preparation material, offer their reviewer such a 'good read' that it becomes an excuse for thoughtful relaxation and enjoyment at the end of a long day. 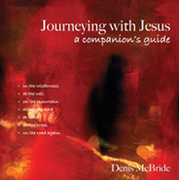 Journeying towards Jesus in Advent is such a volume! It is also a book that comes as something of a surprise. 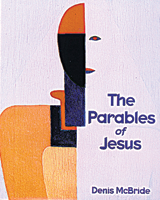 The front cover, with its liturgical purple background and white lettering, does not prepare the reader for a sudden burst of colour within. In fact there is such a variety and abundance of beautiful pictures inside that it is a pleasure merely to turn the pages to see what appears on the next one. Some of the illustrations are well-known works of art, such as Giotto di Bondone's Nativity, and others are contemporary photographs. Each is expertly selected to highlight the text, but also to stand independently to provoke the reader to further reflection. 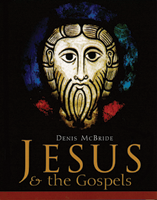 The second surprise comes on reading the introduction by Fr Denis McBride CSSR. It is so interesting! Written in the form of a letter, it is, at one and the same time, a realistic and practical analysis of Advent and Christmas within our tired and sometimes tawdry world and a personal story of a close encounter with death. Most readers do not expect to discover that their author of a book about Advent found himself staring down the barrel of a robber's gun! Such is Fr McBride's reputation as a spiritual writer that any new work promises a straightforward, uncomplicated and intensely pastoral approach. He has an impressive ability to explain even the most complicated Scriptural themes in a way that is accessible to those who have never had the opportunity for academic study of the Bible. He is also able to pick up on concepts which might seem 'quirky' to the uninitiated and show that they are, in fact, highly relevant. For example, although I have often wondered why Jesus spoke about separating sheep and goats when both animals are good, I never managed to reach the point of looking for answers. After reading a couple of pages of Journeying towards Jesus in Advent, I now know that shepherds made the division because sheep could remain outdoors on cold nights, whereas goats need warmth. Jesus' recognition that different people have different needs becomes a springboard for Fr McBride to reflect on his Advent theme. Week 2 is designated by an atom in which, instead of electrons rotating around a nucleus of protons and neutrons, tiny hearts orbit around a large heart. They are, as the theme suggests, 'Investing in another's greatness'. Appropriately, this section examines the relationship between Jesus and his forerunner, John the Baptist, a truly dynamic movement of love and purpose... and so Advent continues. Each chapter has a similar format. First of all, there is a scene-setter in which Fr McBride prepares us for the Gospel passage which follows. He then reflects on the meaning and significance of the Scripture passage in order to highlight and explain important details that might otherwise be missed. Yet although Fr McBride uses his words to reflect on the meaning of the Gospel passage, this is not the end: it must become personal and can only do so if we use our words. Hence each chapter also includes questions for reflection, through which the Gospel message can be applied to our own lives and our own circumstances. Finally, the chapters end with a prayer and a blessing. By way of illustration, Chapter 4 invites us to 'welcome the unforeseen'. Indiana Jones and Raiders of the Lost Ark act as an introduction to the Ark of the Covenant in which the Israelites placed the two tablets of stone on which were inscribed the Ten Commandments. This first section, therefore, prepares us to read the account of the Annunciation in Luke's Gospel, where Mary becomes the Ark of the Covenant, bearing within her womb, not two pieces of stone bearing instructions, but God himself, coming amongst us in order to personally show us how to live a new Commandment of love. As he explains this passage, Fr McBride stresses that although Mary as an individual received the angel's message, she did so as part of the human race. Therefore we also have our own unique involvement and responsibility in the Incarnation: 'For the story of Jesus to be told, it needs more than God's word to be spoken; it also needs the human word to say yes... The love that offers itself is the love that must wait.' He shows Mary�s 'ordinariness': 'If she ever dreamed of being a princess, she knew that as a peasant girl she was destined to marry a carpenter.' Just as Mary coped with the unforeseen, so must we. We can only do so after deep, thoughtful reflection and a readiness to be challenged - hence the usefulness of the questions about our own calling to go beyond the ordinary, imitating Mary's 'yes'. 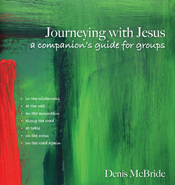 Journeying towards Jesus in Advent is designed so that it can be used in either a group or an individual setting. It is so beautiful and practical that I have offered it to my Community so that, during Advent, we might, both as a group and as individuals, use the book as we journey towards Christmas. Perhaps its whole thrust and purpose is best summarised in the words of Fr McBride as they appear on the back cover: "During Advent we confess our own incompleteness and acknowledge that there is always more to God than we can know or believe or sense... in waiting we declare our hope in God's kind purposes." I have been lucky enough to hear Fr McBride a few times, abd when I read his books I hear that lively mind at work and that musical accent. The man is so talented as a speaker and writer, it leaves you breathless at the end of a presentation. This is a thoughtful wonderful piece of writing, beautifully illustrated throughout. I loved every minute of reading. Following the pattern of Journeying with Jesus a Companion's Guide, this trove of Advent treasure may be delved into for many Advent seasons.